George Clooney’s upcoming adaption of the off Broadway play Farragut North titled “The Ides of March”, starring a stellar cast of Philip Seymour Hoffman, Paul Giamatti & Ryan Gosling will open the Venice Film Festival on August 31. The film is set against the backdrop of a close presidential race with Clooney as President who turns to a novice press secretary (Gosling) to help manage his campaign! Goslin who falls prey to dirty backroom politics get a crash course on dirty politics and the games begin. 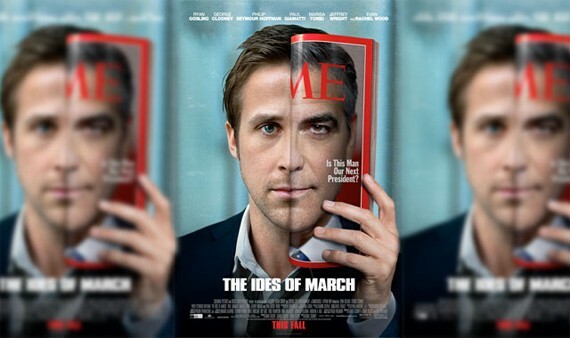 The Ides of March will hit theatres in October. This entry was posted on Thursday, July 28th, 2011 at 10:26 pm	and posted in Uncategorized. You can follow any responses to this entry through the RSS 2.0 feed.